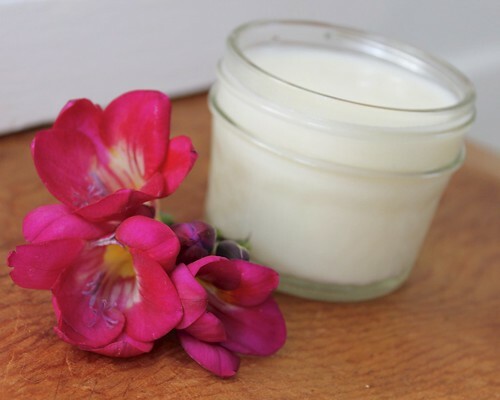 This plant based, rose body cream recipe is perfect both for hydrating dry skin. It’s also wonderful on freshly shaved legs! Keep reading to learn how to make your homemade body cream recipe that’s naturally scented with roses and ylang ylang. Hello Soap Deli News Readers! Becca here, from The Dabblist. I blog about recipes, DIY tutorials, life hacks and all around inspiration to create a happy and healthy life. 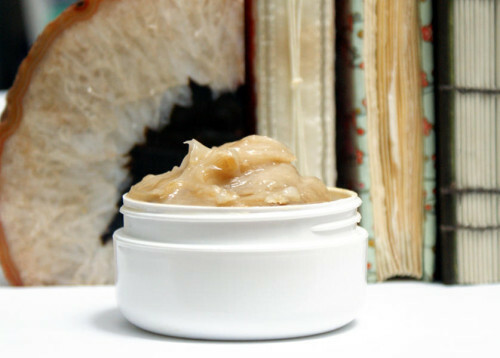 I started off trying to make a facial cream, but found that this rose body cream recipe was much better suited for my dry elbows and legs right after a shave rather than my face. The soothing oils provide deep moisture to your skin with the sweet smell from the rosewater and ylang ylang. The concept is relatively simple. You mix waters and oils together to create the cream. It is a delicate process that has taken me a few tries to perfect. Making your own rose body cream recipe is an exercise in patience and being present during the process. It is meditative. 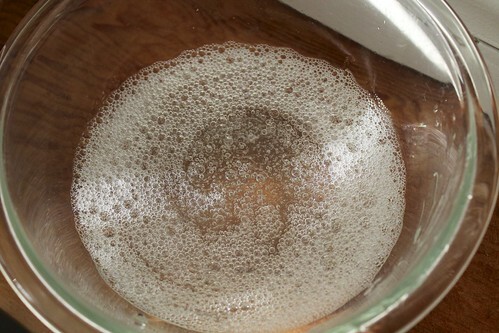 Combine the waters and essential oils in a bowl with a whisk and set aside to come to room temperature. Combine the oils in a bowl and place over boiling water to melt together. Remove once melted and place in blender. Now comes to exercise in patience. 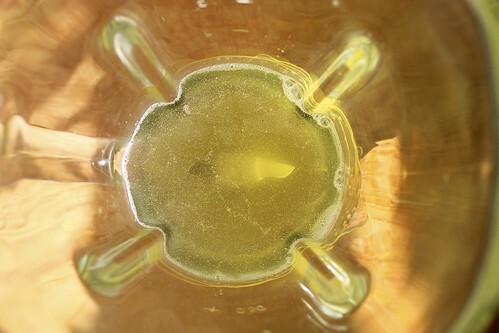 Allow the oils in the blender to come to room temperature. You can place it in the refrigerator to speed up the process, but make sure it doesn’t completely solidify. Once the oils have come to room temperature, blend them on a high speed and slowly pour in the water mixture into the center of the swirl. Watch the mixture turn into a frothy cream, similar to buttercream frosting. Once it reaches that consistency, you can turn off the blender. 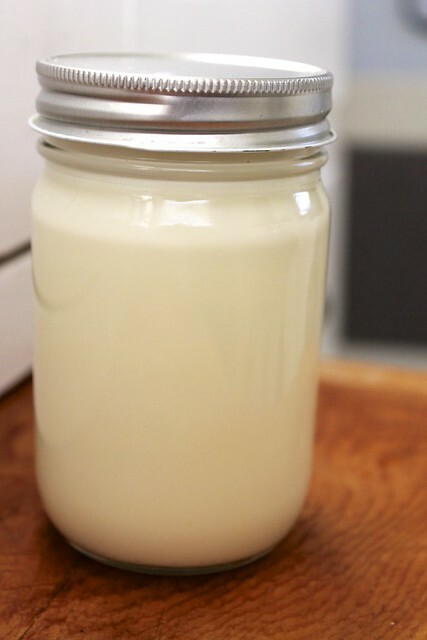 Pour your cream into jars and allow to sit and solidify a bit more. 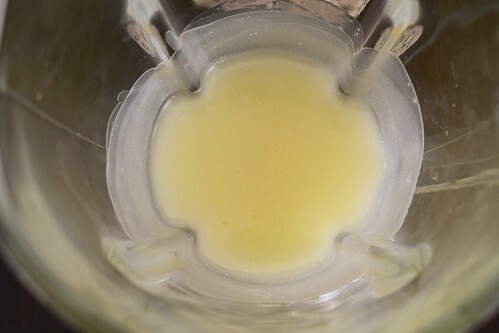 Now, if you find that you didn’t wait long enough for the oils to cool (which has happened to me before), you’ll see the oils and waters begin to separate in your cream. Fear not! This does not mean your cream is a fail, but rather needs a little shaking right before use. Be sure to store in a jar (with a clean lid to avoid the growth of mold) and keep in a cool, dark cupboard for up to 3 months. You can refrigerate too, though it isn’t necessary. Becca is the blogger behind The Dabblist – her manifesto to declare freedom from the taboo of being known as a “dabbler.” She has found that, through sharing our stories and creations with each other and not being afraid to get our hands dirty, we can remember what our great great great grandmothers once knew – that we can be the creators of our own joy. If you enjoyed Becca’s rose body cream recipe, then you may also enjoy some of these other skin care recipes from Soap Deli News. Discover more skin recipes from Soap Deli News! To be informed of future skin care recipes and projects, be sure to follow Soap Deli News across all of your favorite social media platforms! You can find me on Pinterest, G+, Tumblr, Facebook, Twitter, Blog Lovin’, and Instagram as well as subscribe to Soap Deli News via email for future updates, DIY projects and recipes. Such a great guest post! Makes someone like me almost feel I could do this myself! Interesting recipe and lovely post! You can also use an emulsifying wax in lieu of the beeswax. 🙂 I bet this smells wonderful! I REALLY get concerned when I see formulas like this that contain water but no type of preservative system. You don’t always see mold for it to be there and I’d prefer not to slather microscopic nasties on my skin. EEK! This would be best suited for refrigeration and only used within a few days to a week in my professional opinion.